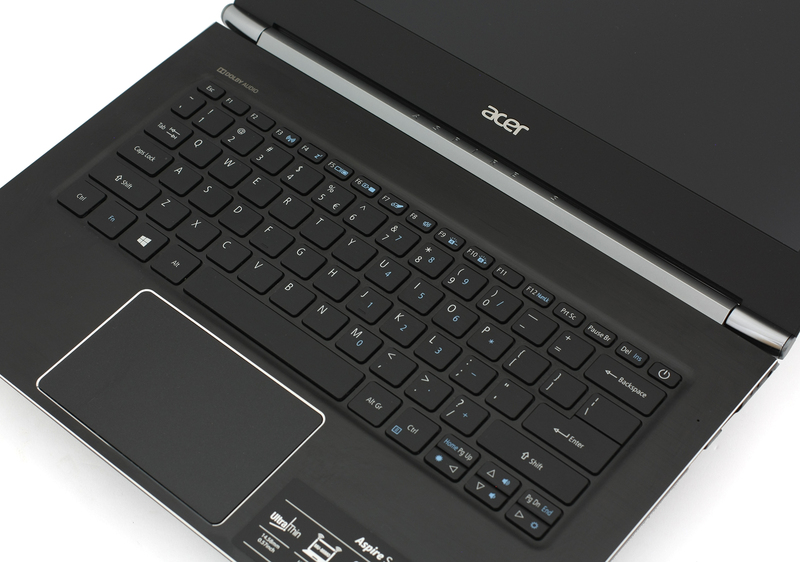 When we first laid eyes on the Aspire S 13 we thought: “Hey, this looks just like the Aspire Nitro Black Edition laptops!” and we were right about it to some extent. It shares a lot of similarities with its bigger gaming sibling like decent price point, design language, materials used for the build and portability. 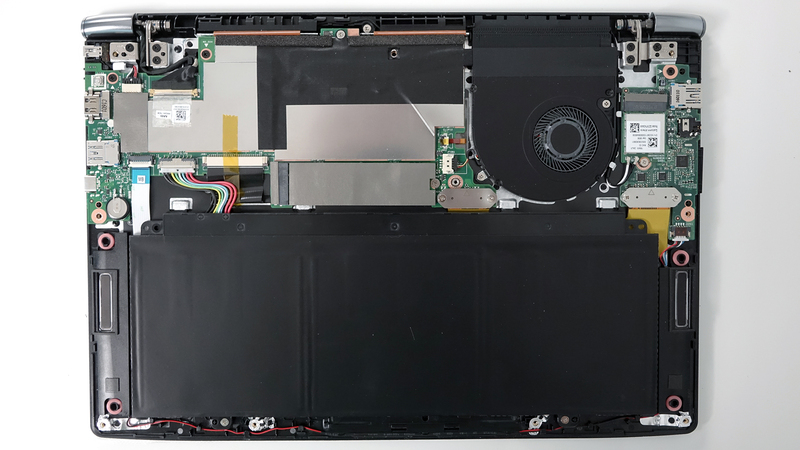 Of course, since the Aspire S 13 is a 13-inch ultrabook, it considerably more mobile and adopts a ULV (ultra-low voltage) processor to better suit the needs of this form factor. Anyway, enough with the similarities between the two because the Aspire S 13 tackles with ease other more expensive 13-inch ultrabooks while being absurdly affordable. You’d probably think that the device cuts some corners in terms of performance but in fact, the Aspire S 13 offers all you’d ask for and even more – up to Core i7 configurations, 8GB of RAM, up to 512GB of SSD and Full HD IPS matte display for better multimedia experience. The latter can be upgraded to a touch-enabled variant, although the price point of $699 will significantly go up. Let’s look closer into what this ultra-affordable machine has to offer. Our unit came with the usual service manuals, AC cord, charging adapter and the laptop itself. And probably this will be the final package. As we said earlier, it’s hard to tell the difference between the design of the Aspire S 13 and the Aspire Nitro Black Edition, except for the size, of course. And that’s actually a good thing since the Nitro lineup is famous for its elegant, functional and portable construction. It’s also pretty sturdy so it’s hard not to like it. The lid is covered in rubberized patterned finish identical to the Aspire Nitro and as Acer notes, it also uses the same nanoimprint lithography process that blends aluminum and plastic into the pattern we see. It’s cost-effective, functional and keeps the sturdiness which the aluminum alone would offer. Even hard pressing on the lid reveals zero deformation. The same applies to the base where the bottom is made of the same material without the patterned finish. Going back to the lid, we see another noticeable similarity between the Aspire Nitro and the Aspire S 13 – the silver-colored strip stretching between the hinges. It’s definitely a nice touch but when it comes to the hinges, they appear to be a bit overly tightened. You need to use both hands to open the machine but we prefer this than loose hinge that will get wobbly over time. The sides are remarkably thin measuring at a little over 14 mm (14.58 mm to be exact), yet they still house all the needed connectivity options. Actually, the laptop offers more than the bare minimum you’d expect from a budget-friendly 13-inch device. It has one USB 3.0, 3.5 mm audio jack and SD card reader positioned on the left and one USB 3.0, one USB 3.1 Type-C and a full-sized HDMI connector on the right. 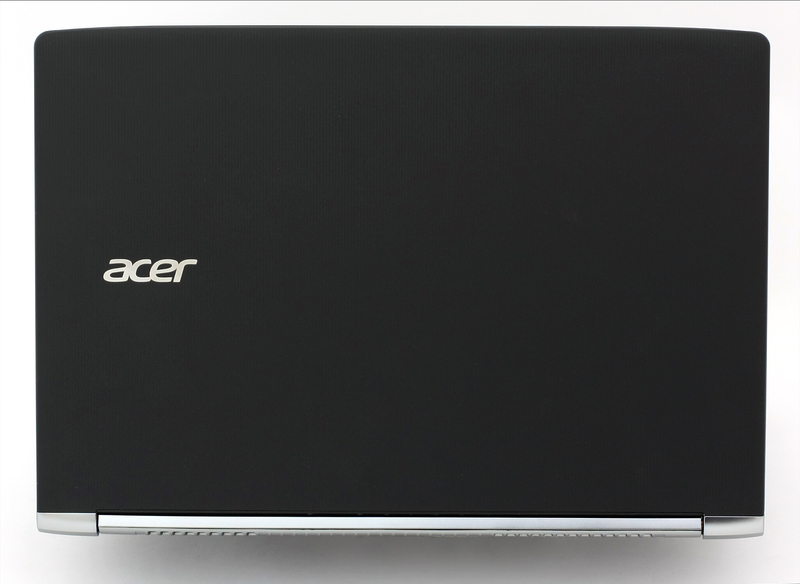 While the exterior is mimicking the Aspire Nitro lineup, the interior borrows the design from Acer’s Aspire V15 (V3-575G). 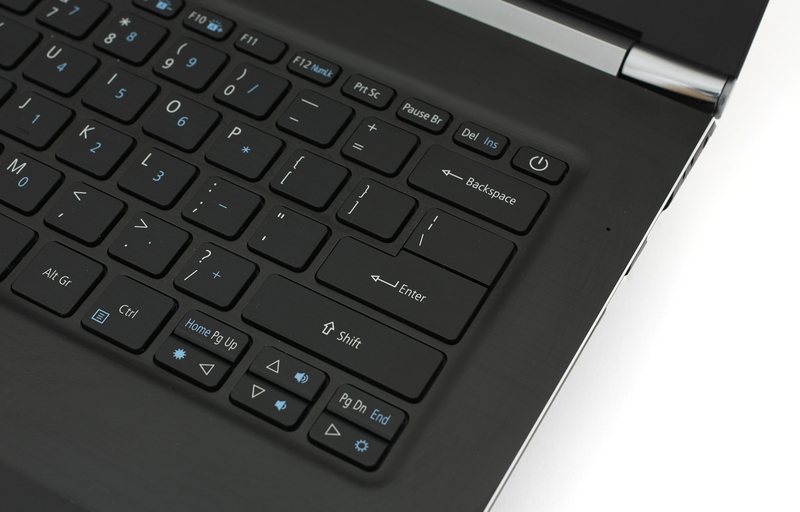 We are met with black brushed aluminum finish with chamfered edges around the corners of the device and the trackpad. While this surface feels extra nice, it’s a fingerprint magnet and smudges are quite visible. Frequent cleaning should do the trick as the brushed aluminum is easily cleaned. The keyboard, unfortunately, isn’t the strongest suit of the device. Don’t get us wrong, it’s okay but not quite what we are used to seeing from an Acer device. Almost all laptops from the company we’ve tested feature keyboards with long key travel and excellent ergonomics but the Aspire S 13 seems to miss those two. We get that the device is quite thin and the keyboards on such devices tend to be shallow, but we are sure they could have done a better job here. For a device starting at $699, the Aspire S 13 offers a sturdy, refreshing and compact design with little drawbacks. 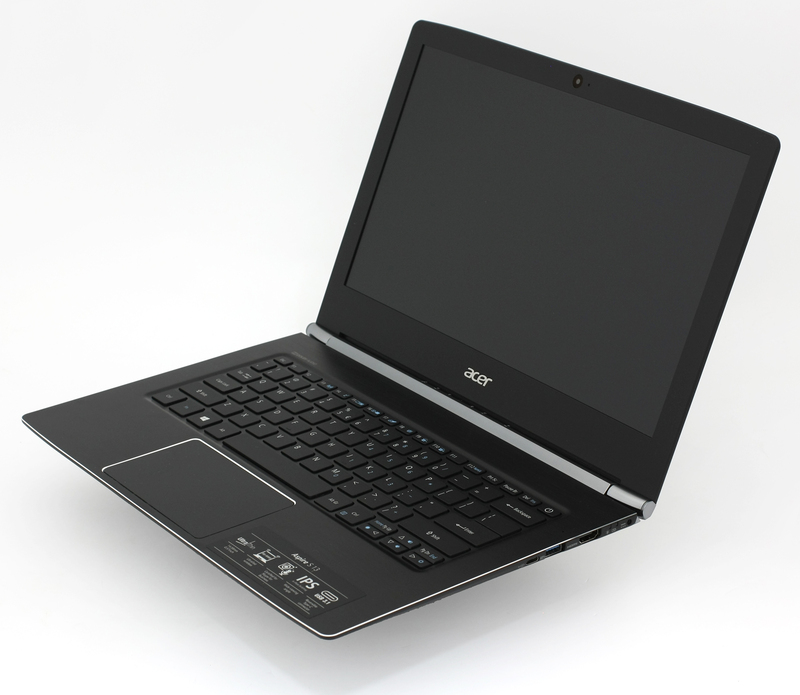 It’s an excellent choice for users looking for an affordable and mobile ultrabook. With a weight of just 1.3 kg and height of just 14.58 mm, it’s a hard to miss option positioned in the lower mid-range segment of the market. Maintaining the device is rather easy as there are only a few screws holding the bottom piece in place. 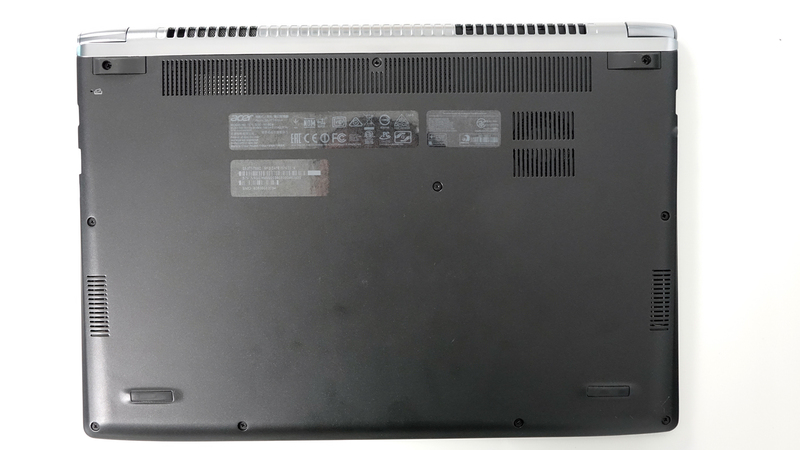 It’s easy to remove, like on the Acer Aspire V15 Nitro Black Edition, but be careful not to damage the back side of the laptop where the main exhaust vent resides. 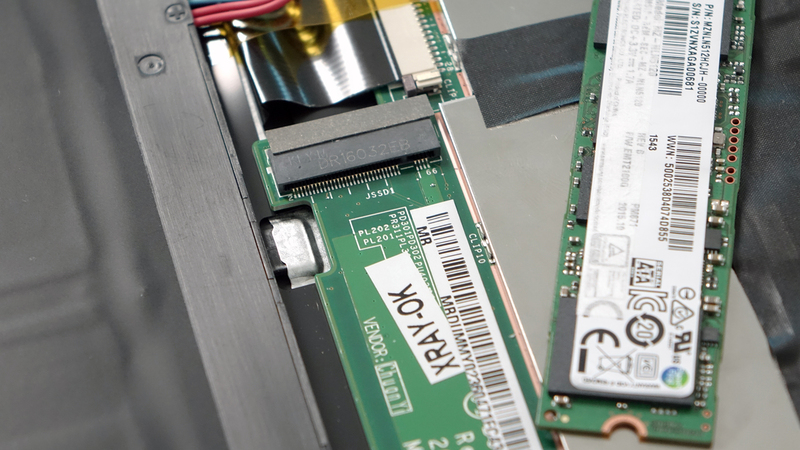 Expectedly, the ultrabook houses only an M.2 SSD slot supporting the SATA standard with AHCI controller. 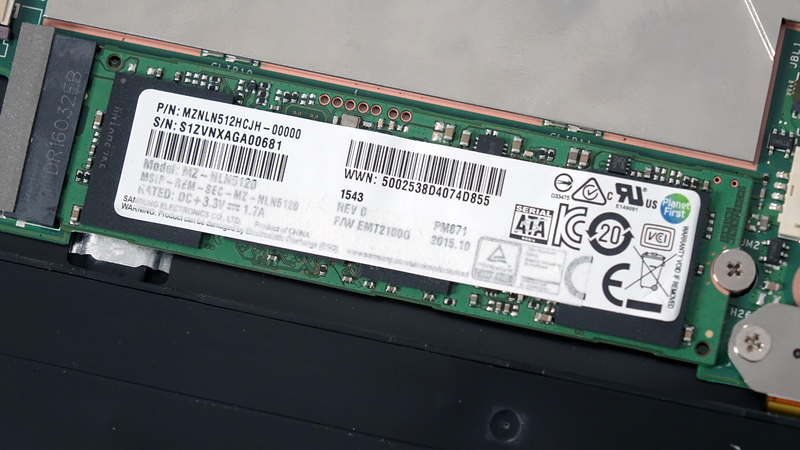 It might be a deal-breaker for some but the fact is that the Acer Aspire S 13 is a budget-friendly portable-first solution so it’s rather expected not to support the latest PCIe NVMe standard. 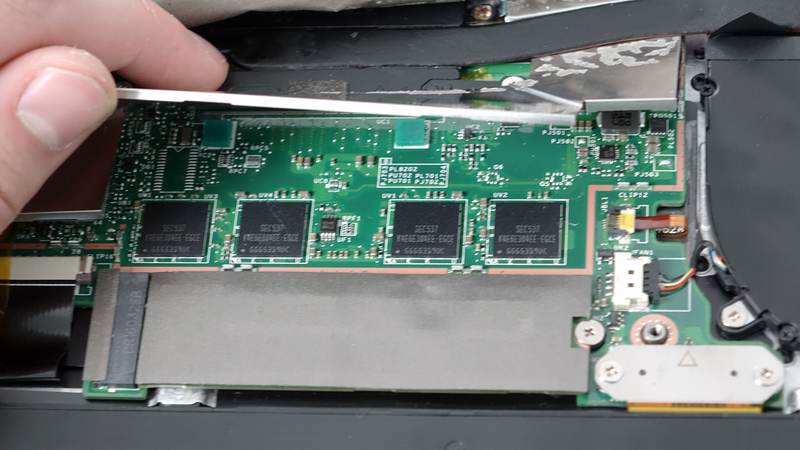 Anyway, the connector uses an M-edge key and sticks with 2280 size. Unfortunately, the RAM chips are soldered into the motherboard so RAM chip upgrades aren’t possible. The reviewed unit came with 8GB of LPDDR3. 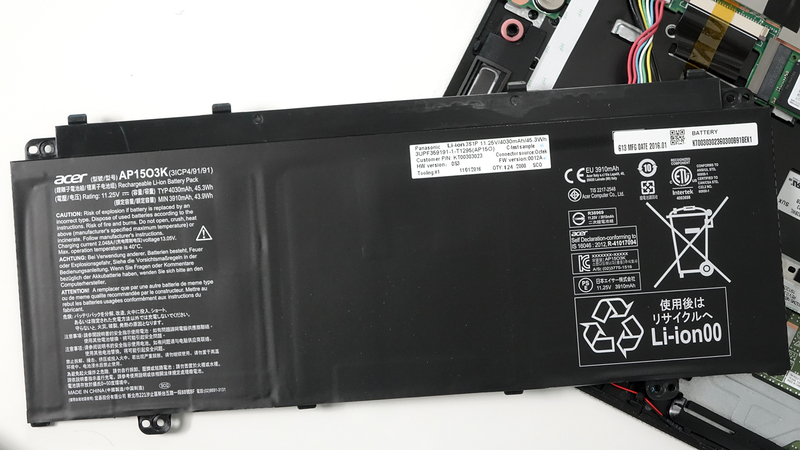 The battery pack occupies most of the space inside the chassis and it’s rated at 45.3Wh. 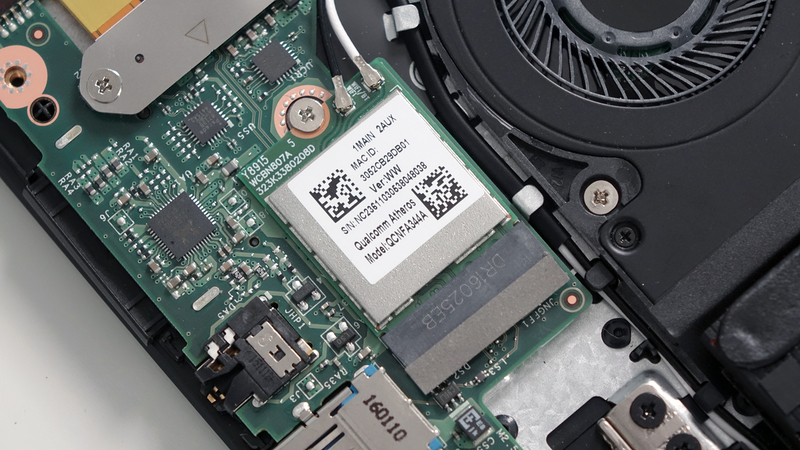 The Wi-Fi module is placed right next to the fan – Qualcomm Atheros QCNFA344A. The cooling system isn’t something special – one fan cooling the CPU with its integrated GPU and a heat pipe stretching from the middle of the motherboard to the heat sink positioned on the back of the device. The hot air is pushed through the main vent openings on the back. 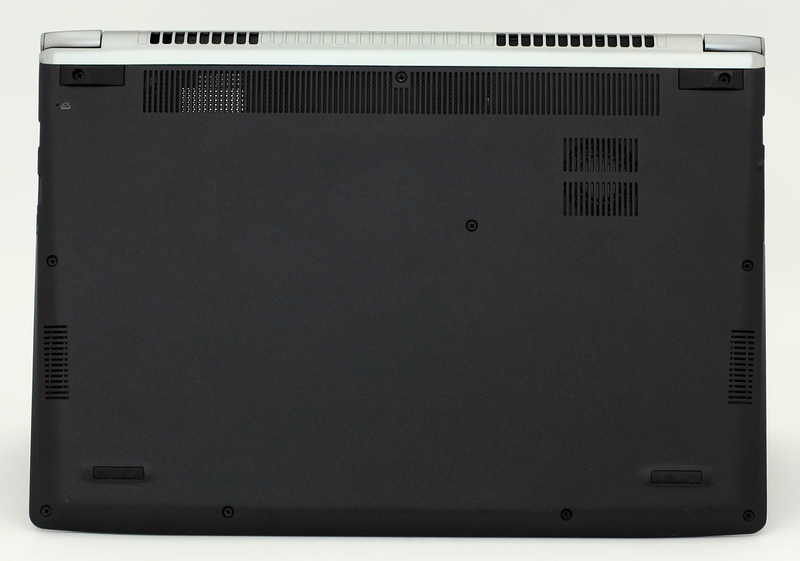 The notebook uses a Full HD IPS matte screen with model number B133HAN04.1 manufactured by AU Optronics. 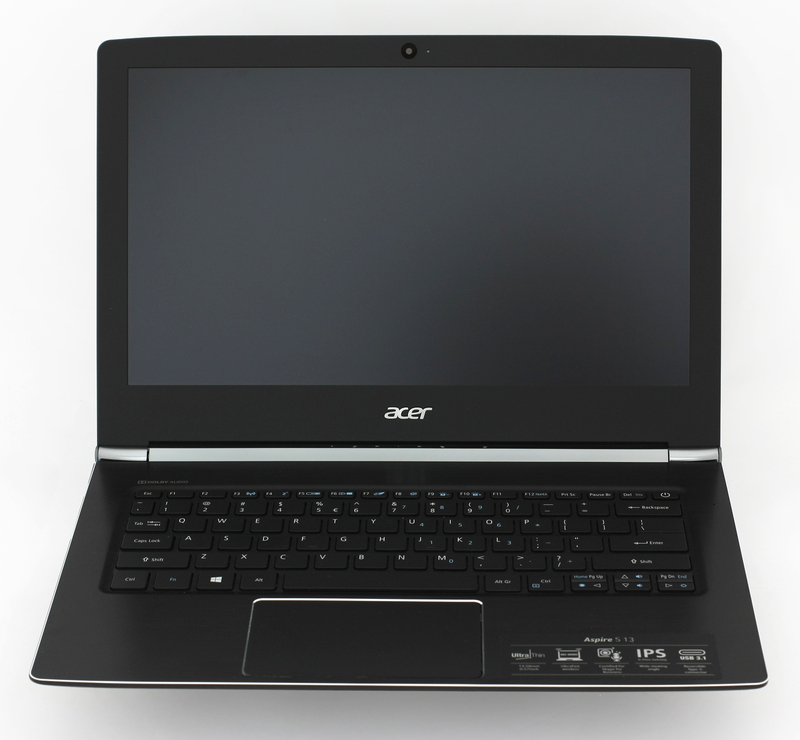 It features 1920 x 1080 pixels resolution in a 13.3-inch diagonal so the pixel pitch at this point is 0.153 x 0.153 mm. It can be considered as “Retina” when viewed from a distance equal or greater than 50 cm. The notebook has excellent viewing angles from a 45-degree incline. We were surprised to find out that the display is quite bright reaching a maximum of 342 cd/m2 luminance in the middle and 332 cd/m2 as average. The maximum deviation is just 7% while the average color temperature is 7300K – slightly above the optimal 6500K so colors will appear colder than usual. We also measured the maximum color deviation, which is 1.9 in the upper left corner – an excellent result since values above 4.0 are unwanted. 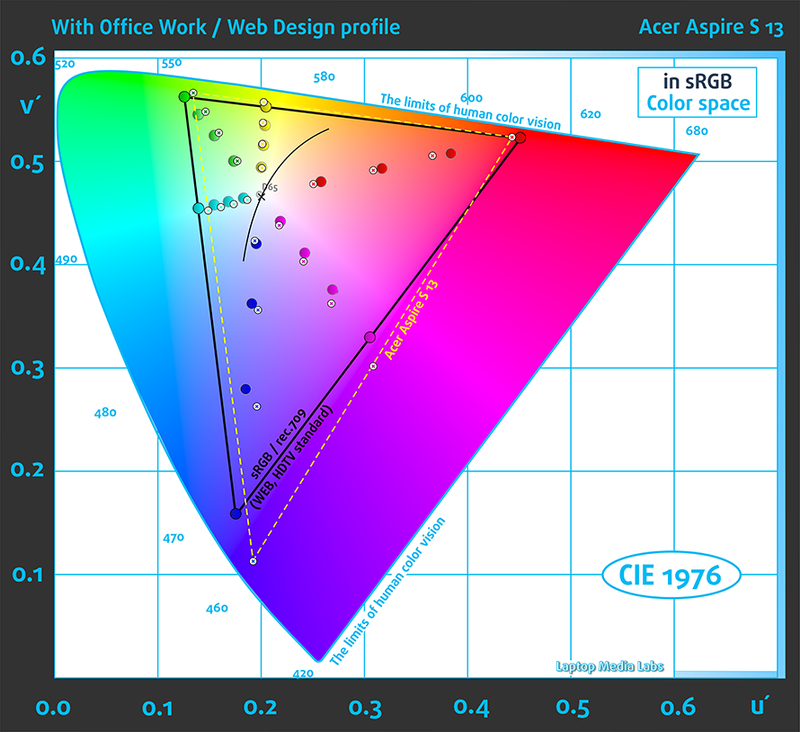 The IPS panel covers 92% of the sRGB color space making it suitable for general office work, multimedia, and browsing. Most of the web-based colors will be reproduced. We’ve set the profile to 140 cd/m2, sRGB mode and white point 6500K (D65). The measured contrast was 1250:1 before and 1100:1 after calibration. We’ve also measured how well the display is able to reproduce really dark parts of an image. It’s essential when watching movies or playing games. The left side of the image represents the display with stock settings while the right one with our custom profile for gaming and multimedia. On the horizontal axis, you will find the grayscale and on the vertical axis the luminance of the display. Fortunately, the display doesn’t use PWM for regulating screen brightness and it’s absent across all levels of brightness. You may use the notebook for extended periods of time without tiring your eyes. The image below is a spectral distribution chart representing the emitted blue light on white screen with brightness set to 140 cd/m2. The left chart is without any profile installed while the right uses our Health-Guard profile in order to reduce the blue light emissions with wavelength of 440 nm. You can read more about blue light emissions in our dedicated article. 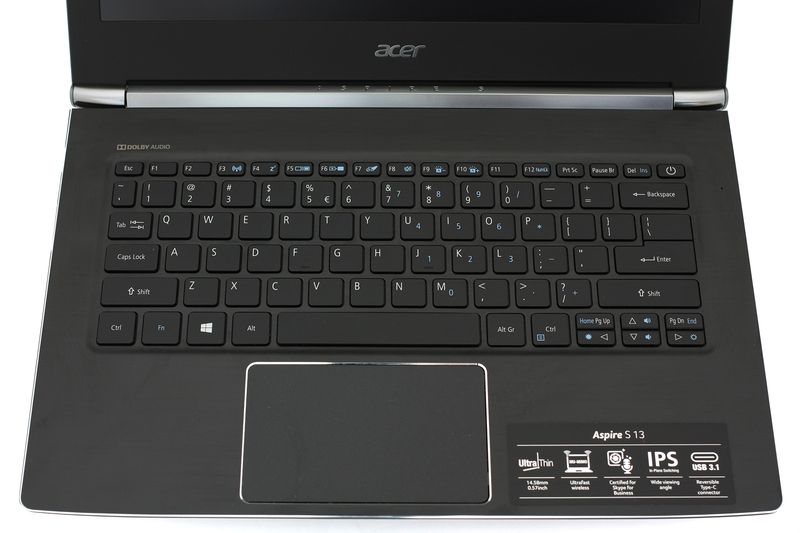 All in all, Acer was able to incorporate more than decent IPS panel, despite the limited budget, with excellent properties suitable for what the notebook is generally made for – multimedia, browsing and office work. 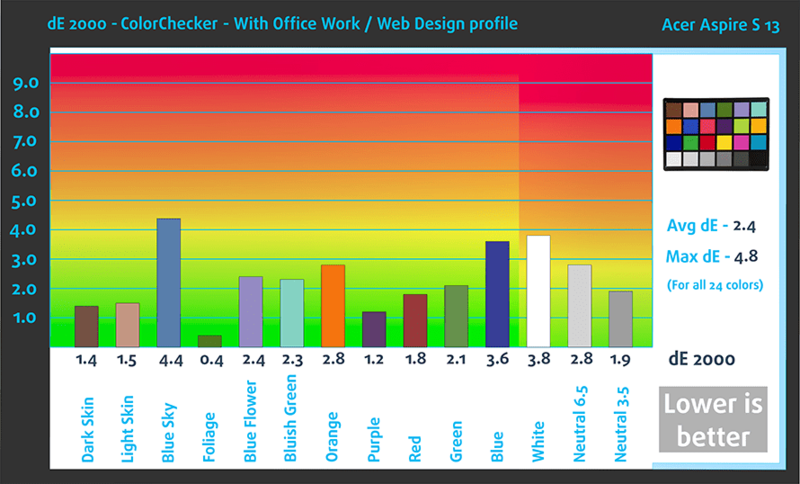 We have wide sRGB coverage, good contrast ratio and PWM is missing for all brightness levels. 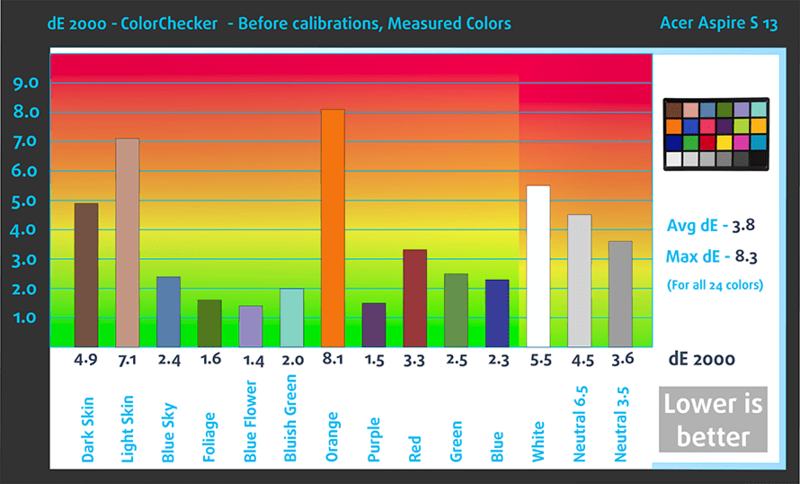 Blue light emissions seem to be a bit high due to the colder color temperature, but that’s what our Health-Guard profile is for. We didn’t notice any major distortions throughout all frequencies and the maximum allowed volume is more than good. 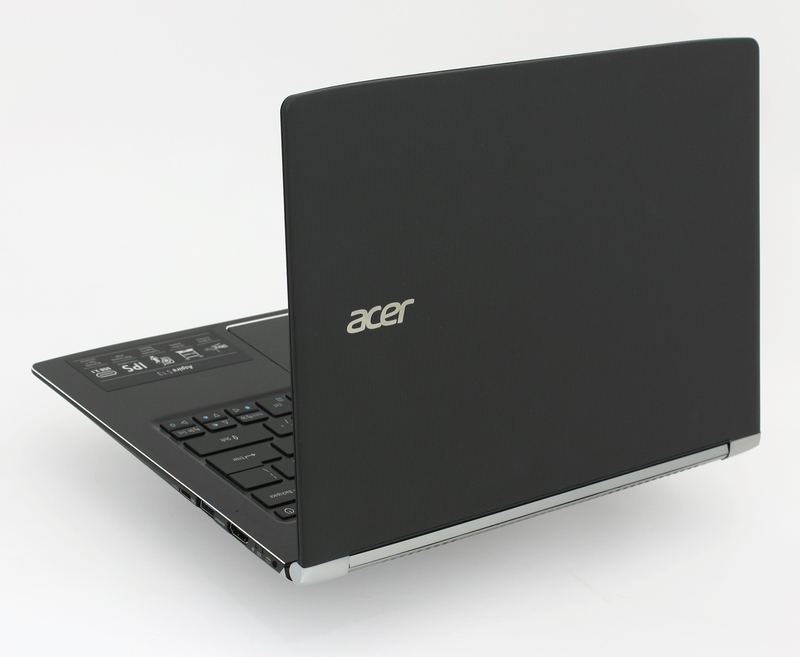 The notebook we’ve tested came with pre-installed Windows 10 (64-bit) but if you wish to perform a clean install of the OS, we suggest downloading the latest drivers from Acer’s official website. 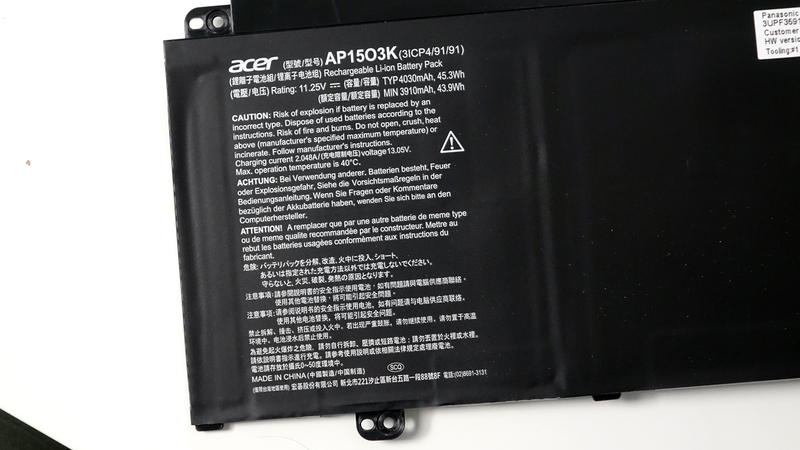 We were kind of expecting long battery runtimes on our tests but quite frankly the Aspire S 13 exceeded our expectations. With a battery unit rated at a little over 45Wh combined with ULV (ultra-low voltage) processor and a 13.3-inch screen, the system withstood our tests and scored perfectly. Of course, all tests were run in controlled conditions: Wi-Fi always turned on, Windows battery saving feature turned on and screen brightness set to 120 cd/m2. Outstanding result – 571 minutes (9 hours and 31 minutes). Considerably lower score than on the web browsing test but way above average, nonetheless – 457 minutes (7 hours and 37 minutes). Even though the notebook isn’t intended for gaming, let alone away from the charger, we run this test for evaluation reasons and the score is 268 minutes (4 hours and 28 minutes). Fritz is a chess benchmark that tests the computing capabilities of the CPU with various chess moves. The Intel Core i7-6500U reached 6.225 million moves per second. By comparison, one of the most powerful chess computers ever, Deep(er) Blue, was able to squeeze out 200 million moves per second. In 1997 Deep(er) Blue even beat the famous Garry Kasparov with 3.5 to 2.5. This two-staged test isn’t exactly a real-life representation of normal use since the general user won’t be able to reach 100% CPU and 100% GPU load for extended periods of time but on the other hand, it gives us a glimpse of what the cooling system is capable of and the overall stability of the hardware in the long run. We kick things off with 100% CPU workload for about an hour. At first, the system was able to utilize the full potential of the Core i7-6500U CPU by ticking at 3.0 GHz (the maximum operating frequency for two active cores) but then declined to 2.9 GHz, which is still in the Turbo Boost range and cannot be considered as throttling of any kind. 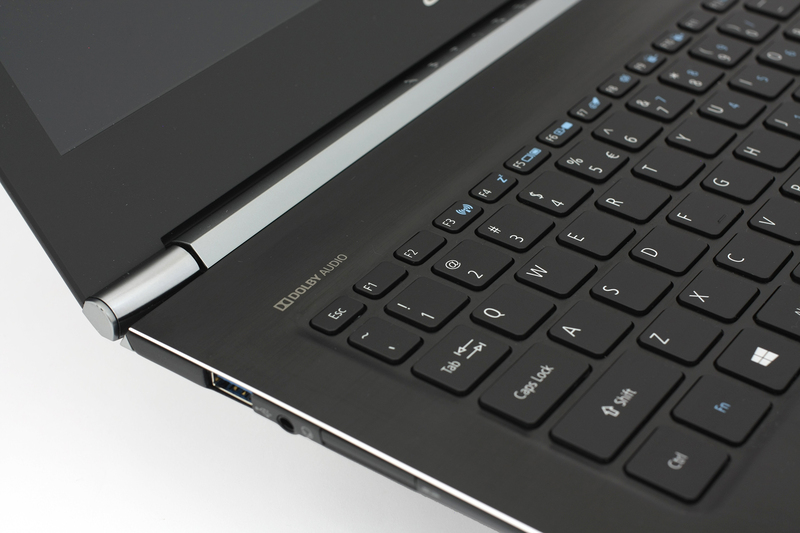 The maximum temperature was around 80 °C – a little bit too warm, yet normal for an ultrabook. After we turned on the GPU stress test, things didn’t change as much but the CPU was downclocked at 1.5 GHz in order to give some headroom for the iGPU to perform. Nothing unusual. The upper-mid section of the interior was a bit warm but only after extended periods of non-stop and heavy workload. The wrist rest area remained cool throughout the whole test. Anything other than that is downright surprisingly good – excellent screen quality (bright, wide sRGB coverage and good contrast ratio without PWM for regulating screen brightness), extra long battery life, and more importantly – great set of hardware for the asking price. Although, the trade-off here is the soldered RAM chips. You cannot upgrade the device’s RAM and you can go only up to 8GB of LPDDR3. Still, the general user would be happy with 8GB of RAM but if you are a power user, well you are in for some bad time. At just $699 starting price, the device gives some even more expensive devices a run for their money… and the Aspire S 13 will probably win in most areas. Is the USB-C port USB 3.1 Gen 1 (5Gbps) or Gen 2 (10Gbps)? Does it also support Thunderbolt 3? 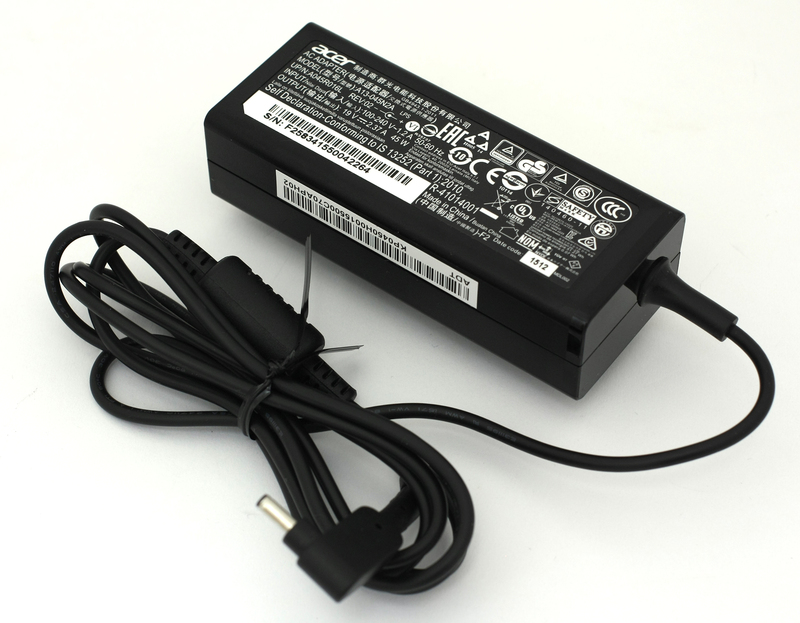 Does it support charging over USB-C? These things would be helpful to know. Please include this information in your reviews. Fully noted. I will look into it sorry to miss out on this information. It’s a Gen 1 (5 Gbps), doesn’t support charging over the USB-C and doesn’t support Thunderbolt 3. Will you be reviewing and adding profiles for the new 13.3 touch i7-7500u?